Route 66. The Mother Road. The Great American Highway. 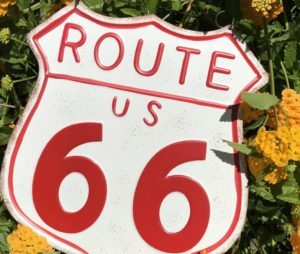 No matter what you call it, U.S. Route 66 is a valuable part of American history and we are lucky to have ready access to some of the best spots to see along the historic highway right here in Arizona. These are some highlights of our favorite places to visit along the Mother Road in Arizona. A little West of Seligman, you’ll find Peach Springs, an historic town on the Hualapai Reservation. The town is the headquarters of the Hualapai tribe and the starting point for the road that takes visitors to Havasu Falls at the bottom of the Grand Canyon. Havasu Fall is a beautiful destination located on Havasupai tribal lands, but keep in mind that you must make reservations in advance with the tribe to camp at the bottom of the canyon. Don’t try to hike down and camp without calling ahead – the rangers will send you right back up at the end of the day (and boy is that a long, grueling hike)! About 20 miles west of Flagstaff is a small town called Williams. Williams is a true Route 66 destination, considered the Gateway to the Grand Canyon and home of the Grand Canyon Railway. The town is nestled in the trees and mountains of Northern Arizona and is a favorite of both Arizonans and out of state travelers. 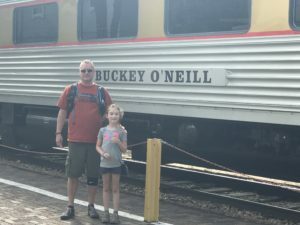 Stop for a bite to eat, or plan ahead to stay awhile and ride the train to see the Grand Canyon National Park. And don’t forget to check out Bearizona, a real Northern Arizona zoological treasure and world class treat for animal and nature lovers! Just a bit off the road east of Flagstaff is a wonder of nature and history that you simply must see. Walnut Canyon National Monument is a short hike down a steep cliff, allowing visitors to walk through ancient cliff dwellings with stunning views. It’s a relatively quick trip through the dwellings, but be sure to bring your walking (or better yet hiking) shoes if you decide to take the trail down. It’s a steep climb, but worth every step. North of Flagstaff, on the road to the east entrance to the Grand Canyon, is the Wupatki National Monument. In the middle of the desert, with views of the Painted Desert and Petrified Forest, you will find dozens (perhaps hundreds) of ancient pueblo settlements dotting the landscape. It’s a fascinating picture of native life before the Sunset Crater volcano erupted and western settlers arrived. 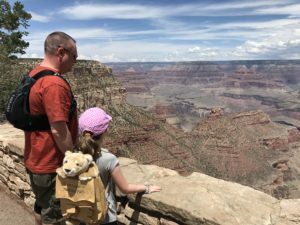 We love going to Grand Canyon National Park and, although it is about an hour or so north of Route 66, it is definitely worth the trip. One of the seven wonders of the natural world, a traveler down Route 66 in Arizona would miss out if they didn’t plan to make a stop to see the Grand Canyon in all it’s glory. Plan ahead and get there early – lines get longer and crowds get bigger as it gets later in the day, and the Grand Canyon is worth at least a couple of days worth of sightseeing. When you see the signs for Meteor Crater, take the time to visit – it’s worth the trip! Giant billboards usually over promise and under deliver, but the billboard for meteor crater just can’t come close to describing the real thing. The Meteor Crater is an incredible sight – like something out of this world and nothing you’ve ever seen. You simply must stop and see this national landmark. These are all fascinating historic destinations, so do your research and plan ahead to make the most of your journey down the Great American Highway. 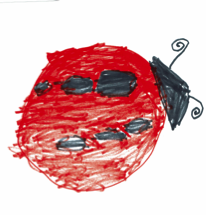 And be sure to visit Ladybug’s Blog for more ideas about places you can visit in the great state of Arizona. We hope you have a fantastic trip full of great memories and experiences.